Many surveys and reports suggest that millions of users have had their identities stolen each year while using the internet. Day by day, the number is increasing and it is mainly because of the lack of understanding about the prevention from theft online among the users. To make you understand how to deal with the issue, TriplePlay Broadband happily shares some of the useful tips for the users that will eventually help them to protect their identity and also allow them to enjoy web access safely. •Have Strong Passwords: It is always necessary for users to create a strong password for their accounts. In case, a user has multiple accounts then he or she should create different passwords for each of the account as it is quite easy for hackers to crack the weaker and common passwords. Users can simply check the passwords hint and create strong password containing upper case letters, lower case letters, numbers and a special character. It is also recommended to change your passwords after a certain time period. •Avoid Visiting Suspicious Websites: It is highly essential for users not to visit any suspicious websites as it can lead to lose your data or identity at the end. Many users don’t aware of the authenticity of a website therefore as a layman, they simply access it. For such users, there are certain tools and online software like Web of Trust where they can visit and check the authenticity of a website. Sometimes some links appear on the user’s screen and many clicked them that may lead to data theft online. •Don’t Share Personal Details: Sharing their personal details like bank details, account details and other useful documents with any website is highly dangerous. Some websites asks you to share your personal details against your will. In such cases, you should not visit the website and close the tab. It is also noticed that many websites ask you to access the links to win money or claim winning amount. In view to see these links, many users share their personal details that lend them in trouble later. Here users have to be very cautious and must not share any precious information on internet. •Avoid Checking Credit Score: Many users have curiosity of checking their credit score online. They should understand that sharing personal details in such process can lead them to any online fraud. •Delete Browsing History: It is also necessary for users to delete their browsing history after a certain time for secure web access. In case any online payment has made, deleting the history is must to do thing for preventing any danger from online threat. Understanding the value of your personal data, TriplePlay Broadband strives to bring innovative technologies to provide safe and secure network at your home and offices. Team of TriplePlay also helps and guides its users to enjoy secure web access. Taking a strict note of online threats, TriplePlay also secures its network from unwanted links and annoying pop-ups. It simply aims to provide faster and safer internet service to the users at the most affordable prices. 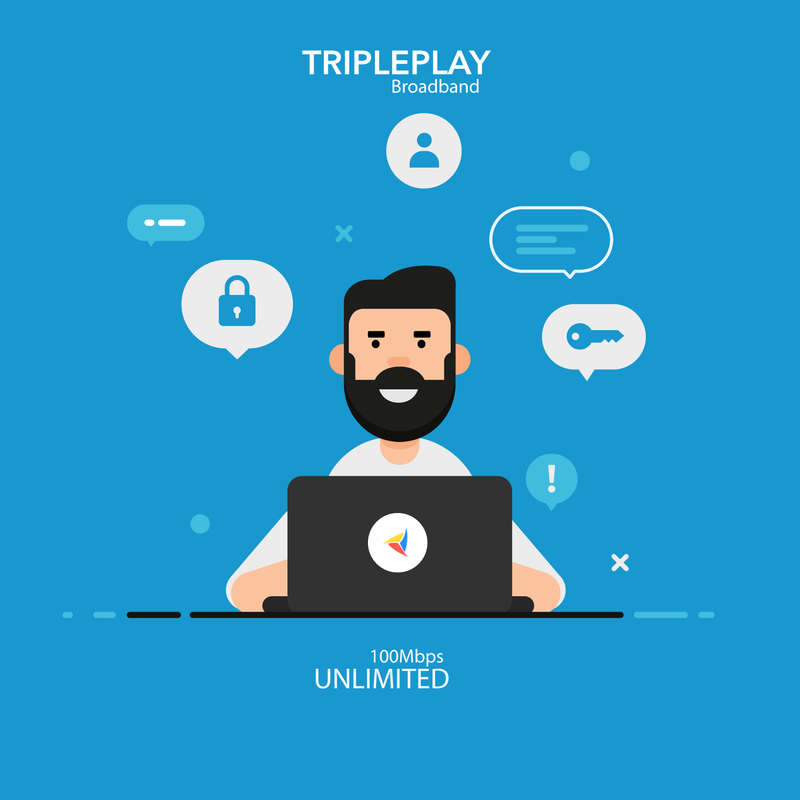 So connect to TriplePlay and take an ultimate experience of reliable broadband service!